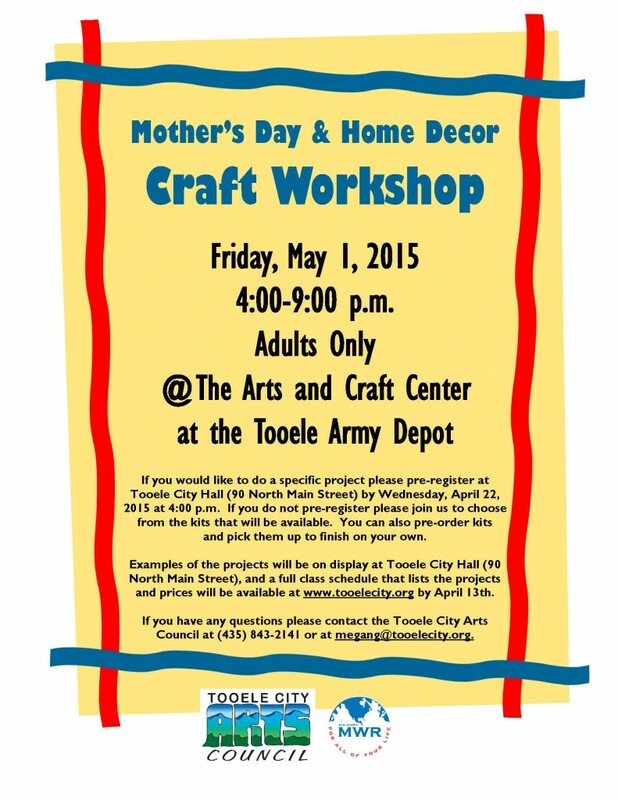 Join the Tooele City Arts Council for the 2015 Mother’s Day & Home Decor Craft Workshop on Friday, May 1, 2015 at The Arts and Craft Center at the Tooele Army Depot. Adults Only Please! Pre-register at Tooele City Hall (90 North Main Street) by Wednesday, April 22, 2015 at 4 p.m. 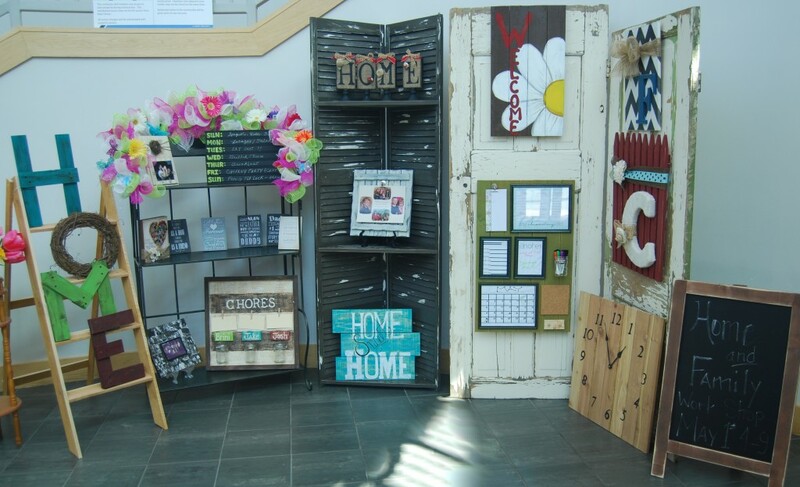 If you have any questions please contact the Tooele City Arts Council at (435)843-2142 or at megang@tooelecity.org.